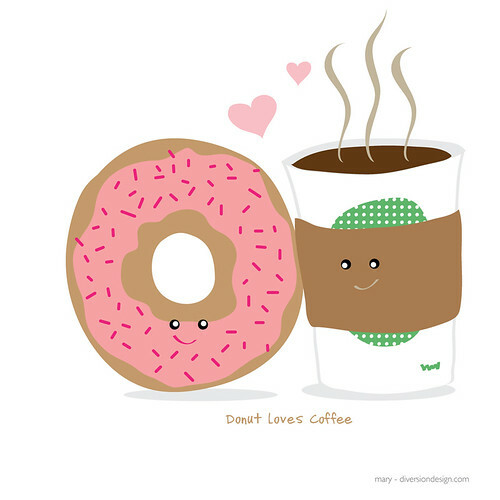 After a hiatus and period of reorganization, the HOW forums HOWieZine is back with issue #14: Coffee. As an occasional coffee drinker, I didn't have a lot of strong feelings about the subject, so my 'Zine pages do not have a lot of concept behind them - they are just visual contributions to the whole of the theme. I think that is what I like about this project - in the end you have a visual catalog of one theme interpreted by several different artists and designers. My 2nd page actually began as just brainstorming for my concept. After looking at the little drawings, I decided that a visual contribution in the style of sketchbook doodles was easily a concept in and of itself. 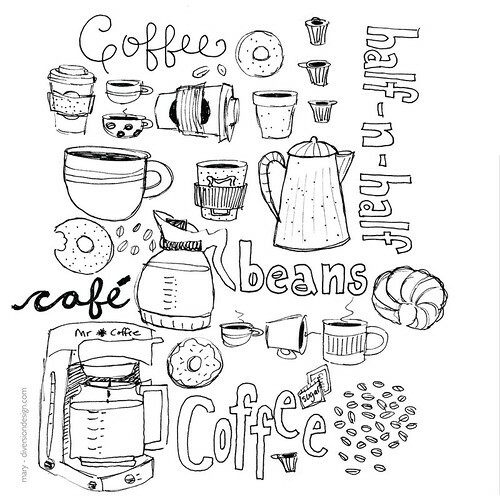 There are so many coffee cup styles and coffee items, I thought this doodled collage would be an interesting addition.